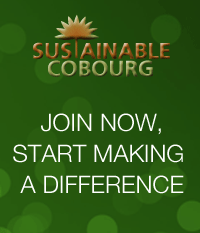 Diana Storen gave a brief presentation at a recent Sustainable Cobourg board meeting. She gave a similar presentation to Cobourg town council, who are interested in forming an ad hoc committee to look after a pilot project dealing with better waste diversion. so there is work to be done. Diana has some great ideas about how we can recycle or upcycle many hard-to-recycle items, such as coffee pods, pens and markers, cigarette waste, and Styrofoam. One idea is to partner with Terracycle to place a number of collection bins in strategic areas. This entry was posted in Climate Change, Eco Action, News 2014. Bookmark the permalink.